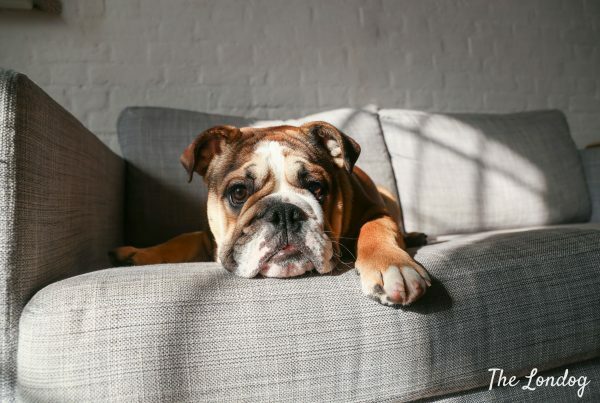 Last month Tangle Teezer hosted a launch party for the Pet Teezer, their new line of brushes for dogs, which they created after demand of the public. We couldn’t attend the launch event, but we were kindly sent their two brand new brushes to try out. This is what we found out so far. Being not from the UK and not much into beauty products either, I must confess that I hadn’t heard of Tangle Teezer before, but reading around I now realise they are quite ‘a thing’. 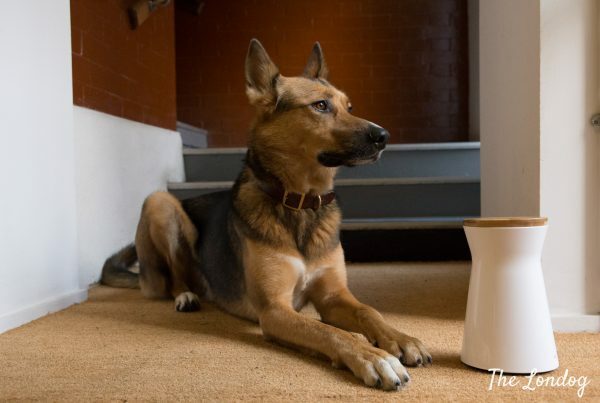 Over the years we have tried a few different dog brushes, before setting on the popular brand Furminator that we used for the last five years and found very practical especially for indoor use. Since then, I have never looked into dog brushes again. However, time to replace our old one had probably come, so I was pleased to be able to give the newly launched Pet Teezers a go. As their names suggest, the Detangling Dog Grooming Brush is designed to detangle and dematt the dog’s coat, while the De-Shedding & Dog Grooming one to help coping with moulting. 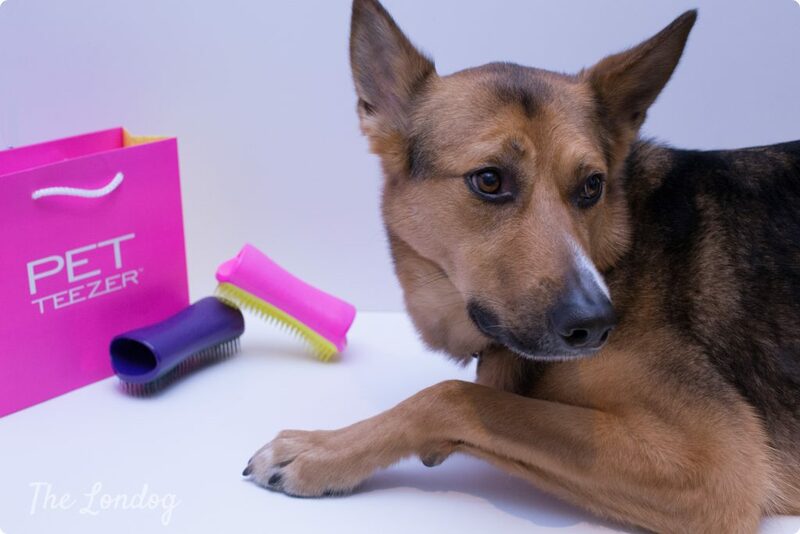 According to Pet Teezer’s press release, the brushes come after three years of development and testing. They are both 100% made of plastic of bright colours (pink and yellow, and violet and black) and their two-tier teeth are elastic enough to bend. 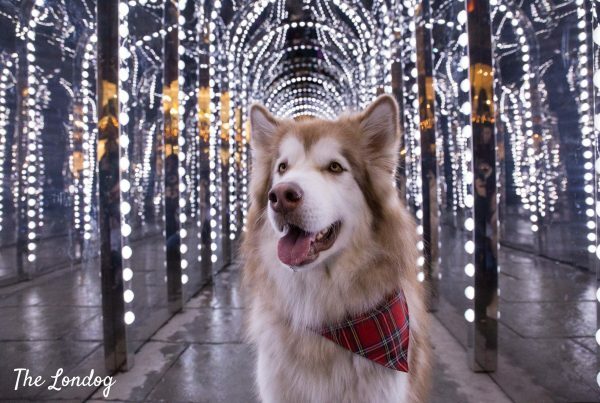 Being made of plastic means that they obviously don’t rust and can be used on the dog’s coat also when wet, which is a great advantage for dog bath time (as well as for taking them to the beach for a post-swim grooming). 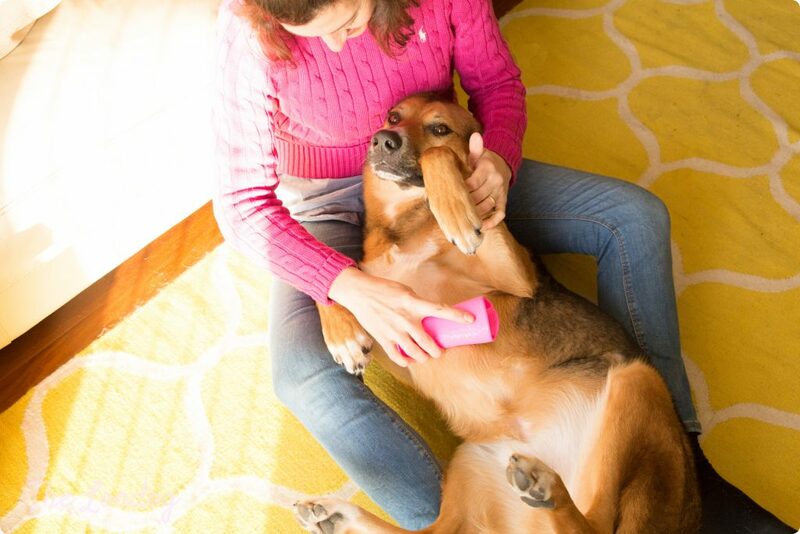 One thing that I noticed when trying them is that, compared to the metal brushes I have been using to so far, the Pet Teezer ones are more gentle on the dog’s coat and skin, especially when you brush the more delicate parts such as the belly. In fact, Argo quite enjoyed the grooming and massage time. Luckily Argo doesn’t need much grooming and his coat doesn’t present matting issues, however shedding season becomes our worst nightmare. If I look at his coat I can’t really figure out how it is even possible that he moulds so much, but daily hovering becomes absolutely essential at home! Shedding season has not yet arrived, so we couldn’t test the brushes’ effectiveness for such purpose, but so far they look promising! In particular, the two-tier teeth were developed so that the longer ones remove dirt and the shorter can reach and de-shed the undercoat. 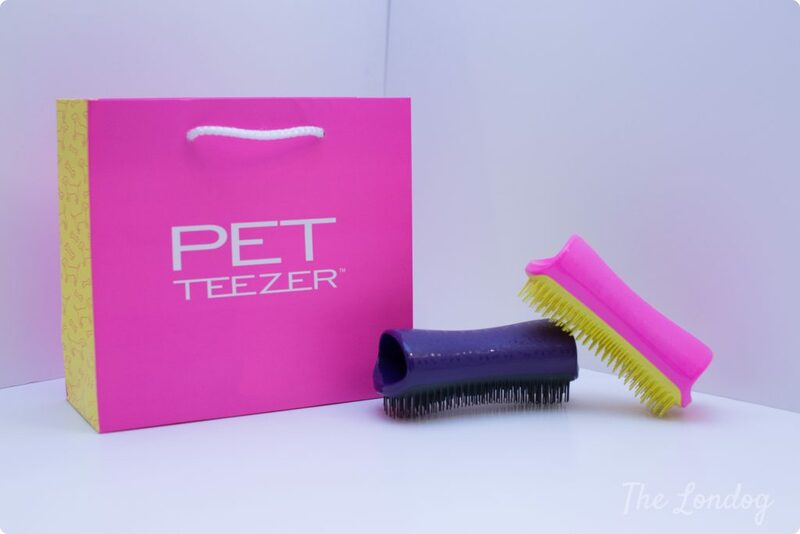 The price is of Pet Teezers’ brushes is affordable, as they can be purchased for £12 each (currently you can find them on promotion for £10) at Pets At Home stores. Finally, they are endorsed by Dog charity Battersea Dogs & Cats Home, which receives royalties from their brand’s use. Transparency note: this is an independent review. We received the two brushes to test, but do not have any affiliation programme in place with Pet Teezer nor have received any other economic incentive for this review.